✔ Powered by 3*18650 cells. ✔ 200W max output. ✔ VW/VT (Ni, Ti, SS316)/TCR mode. ✔ Firmware upgradeable. 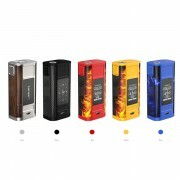 Joyetech CUBOID 200 mod is powered by three replaceable high-rate batteries. It can fire up to a maximum output power of 200 watts. 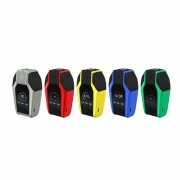 The colorful 0.96-inch OLED screen combines with an entirely new operation interface, allowing you to view all your vaping data clearly even while vaping. 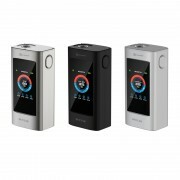 The CUBOID 200 mod has three modes for you: VW mode, VT mode, and TCR mode. The little fire key is designed on the right of the mod, making it comfortable to hold and easy to operate. 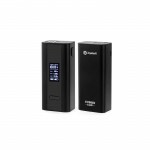 With reverse polarity protection and dual circuit protection, the CUBOID 200 mod can be charged more efficiently and safely. ➤ 1. 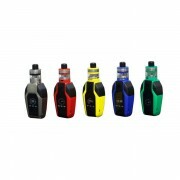 Powered by three replaceable 18650 cells, it can reach to 200W max output. ➤ 2. With a clear OLED screen on the top to display all the information. ➤ 3. 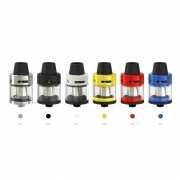 Adopts 510 stainless steel thread for large capacity atomizers. ➤ 4. Featuring flexible battery cover allows to replace the battery easily. ➤ 5. Comes with the reverse polarity protectionand the dual circuit protection system to protect the battery. ➤ 6. With preheat function, allows the mod to start at a high output for a few seconds to warm up. ➤ 7. The firmware can be upgraded. ♻ 3 months for Cuboid 200 Mod.